When it comes to what to wear in Indian Royal Wedding? Jodhpuri Bandhgala Suits have always been and will always be the ultimate answer. However, only wearing a Jodhpuri Bandhgala Suits does not state & highlight the wearer's dressing sense until it is a well fitted. Design your custom made Jodhpuri bandhgala online to make a head-turning entry for every occasion. Whether it's your marriage and finding wedding jodhpuri suits for groom or you are going in someone marriage, mark your presence with wedding jodhpuri suits for mens. Now, you don't need to give your time in finding the stores of indian jodhpuri suits for mens, give measurements and at last wait for the result of what type jodhpuri mens suits you will get. You need to simply login, design your wear and get remarkable one at your door. 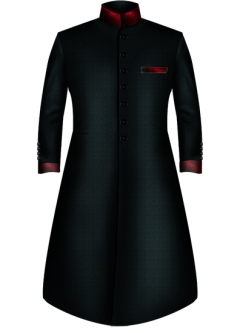 Get the freedom of customization for indian jodhpuri suits for mens . Our website will give the real time result for your customization. Also, it allows you not only for customize your Suit but for Breeches and Bushcoat as well. Not sure about the latest design which are in trend? No worries, simply send us your specifications and requirements. We will figure what would be the best for you to match your fashion taste. At JodhpurTailos, we ensure the perfectly fitted wedding jodhpuri suits along with the fabric quality assurance so that you will complete satisfaction. Selecting Fabric: You need to keep in mind the at what time & season you are planning to wear this suit. For day wear, you can opt for light colours and for the evening & occasions, you can choose dark colours. Depending upon the season you can pick up Linen for summers, wool for winters & blended round the season. Selecting Lapel: For office wears, notched is preferred. For the occasions you can choose Shawl lapel. 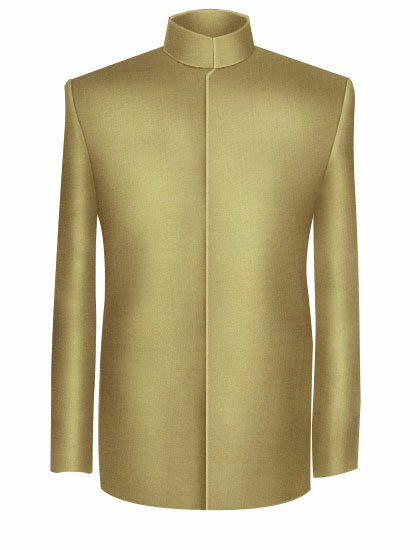 Pockets: Open collar suits generally come with Flap Pockets. For casual look, you can choose patch pockets. Patch pockets are not oriented in the slanted manner. Sleeve Buttons: You can choose no. of sleeve buttons as per your choice and opt for Functional, Impression Or None.